Shake ingredients without ice (dry shake). Then add plenty of ice and shake hard. Fine strain into a chilled coupe glass. 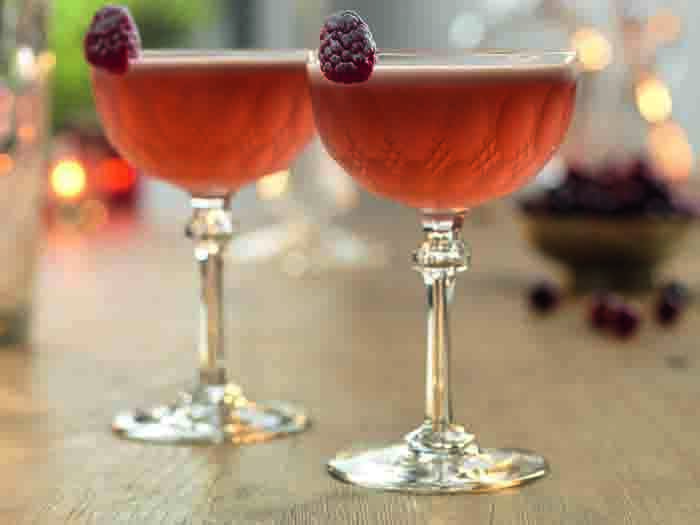 To garnish, add a drop of Angostura bitters or or alternatively, place a raspberry on top with a dusting of icing sugar.